Dynamic Drawing » Archive » Freehanding faux 5 point perspective city streets. Freehanding faux 5 point perspective city streets. 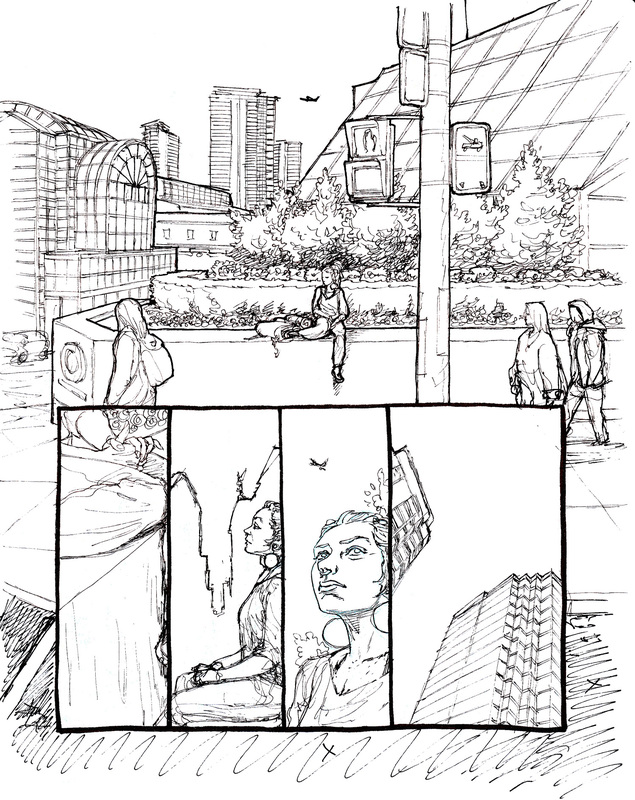 I recorded doing some blocking out my perspective freehand in pencil, for one of the panels of my comic Dream Life. 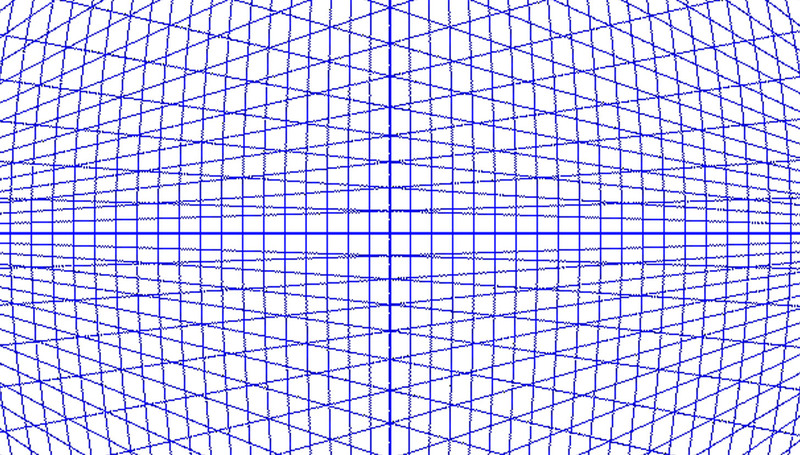 This is pretty much Single Point Perspective, but I exploited those curvilinear lines/angles I showed you in the cropped version [b] of the 5 point perspective grid [a] posted here as part of the intro on Liner Perspective. Rather than worrying about plotting out the other relevant vanishing points locations, I just established the one visible in the frame, along with my horizon lines. And the rest I simply suggested by exploiting the natural curvature of drawing from the elbow, always arching away from the visible vanishing point. 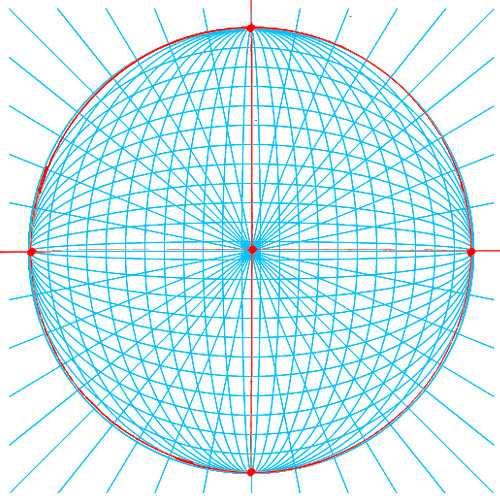 With more than one vanishing point in the frame, the picture plane becomes dramatically distorted. By just suggesting the curvilinear angles of the lines follow the kinds of curves you find in this cropped detail of the 5 point sphere you can invite the illusion of more naturalistic perspective. You’ll see that I arch both vertical and horizontal lines, and used some location reference via google earth to help establish the proportions of the building and street, and the correct size for the people later as well. As I said in class I encourage judicious use of reference, especially when you’re first learning. I also encourage you to put it away once the gross forms are drawn in and don’t let it linger around to correct your instincts. 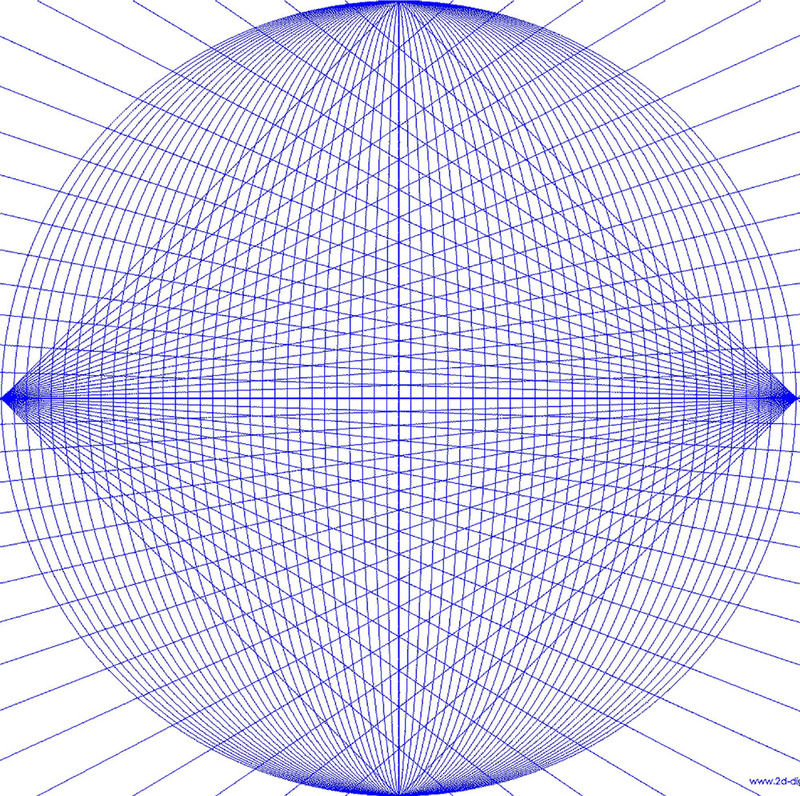 (a) Five point spherical grid. (b) Cropped detail of 5point. There’s two clips there, from the first, here’s how these ‘pencils‘ came out [I did them in pen but these are equivalent in my comics creation process]. I posted the panel along with some others in the same sequence with a lot of the same kind of faux 5 point perspective done on them. Click ’em to see big! :: Take note: I used Foreground, Mid-ground and Background objects and subject placements to help sell the perception of depth. You can fudge a lot of depth in a shot with a few strategically placed anchors for near medium and far. 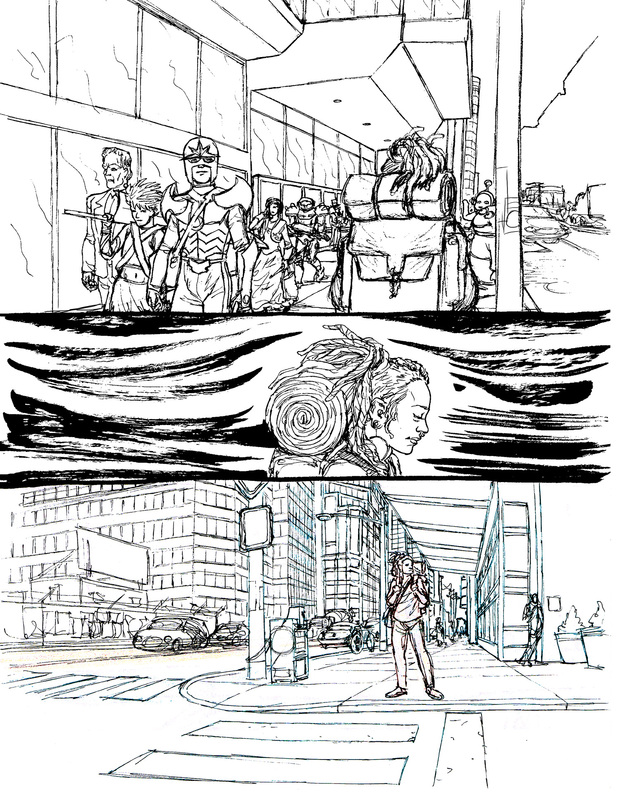 23/10/2013 | Filed under Class Blogg, Class Resources and tagged with Ink and linear drawing, perspective, practice, tutorials.